I just received newsletter from Archeo which is division of Marchex Sales, LLC and it’s worth sharing. “According to the Small Business Association, there are roughly 28 million small businesses in the U.S. Many of which are working extra hard to compete with bigger businesses and stand out among the competition. Of those 28 million small businesses, an astounding 22 million (79%) are self-employed with no additional employees on the payroll. Whether you’re running a business solo or you have a team of employees, it can be a challenge to gain brand awareness. This is especially the case if like most small businesses you lack your own website. 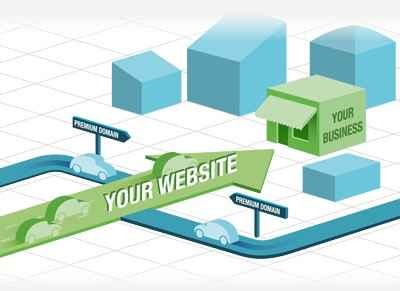 In a recent survey by Yodle, it was reported that 52% of U.S. small businesses still do not have a website. Having a website not only helps establish credibility and attracts new customers to your products or services, it also serves as a powerful marketing tool that works 24 hours a day, seven days a week. With no additional employees or as with most small business, operating solo, a website is like having an entire team that is on and working while you’re sleeping, on vacation, or spending time with your family. This is an efficient way to keep your virtual doors and new opportunities open, even when your actual business may be closed! In addition to having a website, having a great domain name that properly attracts your customers is key to the website’s success. By including industry or location specific keywords, your domain name can help your customers find you faster. Premium domains are often associated with popular keywords and most premium domains attract type-in traffic. This means people are actually typing in the exact terms or keywords searching for your type of business in your location. If your domain name keywords match or are related to what these potential customers are looking for, you are more likely to attract the most targeted leads. What’s great about domains is that you can point (or “redirect”) as many domains as you like to your existing website. By doing this, you can help attract more customers. While you can not only point an unlimited number of domains, the “redirecting” service is available at any domain registrar and is often free. « Transfer the domain to me because your domain has no active website!